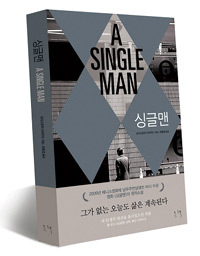 When A Single Man was originally published, it shocked many by its frank, sympathetic, and moving portrayal of a gay man in midlife. George, the protagonist, is adjusting to life on his own after the sudden death of his partner, and determines to persist in the routines of his daily life; the course of A Single Man spans twenty-four hours in an ordinary day. An Englishman and a professor living in suburban Southern California, he is an outsider in every way, and his internal reflections and interactions with others reveal a man who loves being alive despite everyday injustices and loneliness. Wry, suddenly manic, constantly funny, surprisingly sad, this novel catches the texture of life itself. Isherwood's resurrected classic?now a feature film?takes us to Southern California in the 1960s and into one day in the life of George, a gay, middle-aged English professor, struggling to cope with his young lover's tragic death. Simon Prebble's voice is a perfect conduit for Isherwood's lyricism, and he assumes the role of George so naturally and with such raw feeling that listeners will feel as if they are hearing the words straight from the protagonist himself, so beautifully does Prebble create George's reserve behind which surge tides of grief, rage, and bitter loneliness. Christopher Isherwood (1902-86) lived in Berlin from 1928 to 1933 and immigrated to the United States in 1939. Translator, biographer, novelist, and playwright, Isherwood is the author of over twenty books.